The best way to find informational speech ideas is by looking at your own life and experiences. Sure, you could talk about the cooking techniques of Benedictine Monks during the Middle Ages, or the top three ways to rope a Russian yak. And you might even do a good job. But you will speak more easily, more convincingly, and with more usefulness to your audience if you speak about a topic that you know well. It could be a hobby, a sport you play, a regular family vacation destination, a favorite book, or even a profile of a favorite pop star! Ask yourself this - if someone woke me up from a deep sleep in the middle of the night and asked me to speak about a topic, which topic could I talk about with NO preparation? Remember that the audience will know if you are not interested in your topic. Seek a subject you can get enthusiastic about. Unlike with a persuasive speech, you are not seeking to influence opinion, but to inform. At the same time, you don't want to just relay cold, factual information. You want to share information so that the audience can enjoy the knowledge, and ultimately benefit from it. 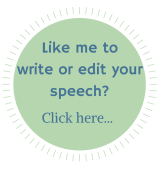 So try to find informational speech ideas about which you are enthusiastic. Your aim should be to present your topic in such a way that an audience member can then use your information to somehow improve their life, even if only in a very small way. 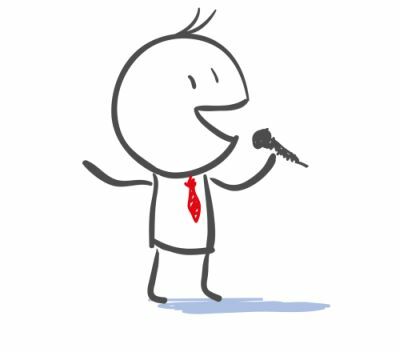 To give you a jumpstart, here are several topic ideas for an informational speech. Personal hobbies are a natural place to start when looking for ideas for an informational speech. A hobby is generally something you're enthusiastic about and have participated in long enough to know the topic fairly well. Stamp collecting, crafts, writing, performing magic, etc are all potential ideas. Sports are a natural choice when looking for informational speech ideas. In our sports crazed culture, many people are familiar with and passionate about sports and their teams. Your informational speech can be useful by giving your audience a deeper level of knowledge about the rules, customs and history of your favorite sport. Football fans, for example, would love to know about some of the characters and crazy plays in the early days of the game. You can give a speech about an interesting person, perhaps even someone you are related to or who lives in your town. It does not have to be somebody famous (although if you are related to a famous person most people would be very interested)! Perhaps one of your relatives was a founder of your town. Or maybe you know somebody that invented something interesting. It could be a little more mundane... maybe your relative is head of the parks department, or is an animal trainer at the local zoo. What technologies are you interested in? Explain how a technology works and what it does for you. It could be a videogame, for example - find out more about how the game was created, where it is made, and who is involved. Do not just explain how something works... describe how it impacts us too. Has your family taken a vacation to an interesting place? Tell the audience how you decided to go there, what transportation you took, what sights you passed on the way, and what the people are like. Describe in vivid detail the style of dress, the food, and the weather in the daily lives of the people that live there. In all cases, consider how you can relate the topic to the audience. If you are speaking about a country, tell the audience about the political structure of the country and how that relates to the United States, for example. With informational speech ideas, the best thing to do is to find areas of interest that you can hook into the audience's personal lives. When you do that, your informational speech will really shine - and so will you. Still stuck on what to speak about? Check out these good informative speech topics to give you some more ideas.